with Depeche View for Windows XP / Vista / 7. 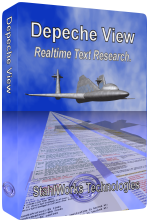 Depeche View loads all text files from a folder, showing them all in a single window, as if they are one huge text. Furthermore, this all-in-one window can be cloned. A click on the window create button (or a right click on blank space while there is only one window) creates another view onto the same text, showing the same location, no matter in what file. This allows to look up informations further down or up in the same file, or nearby files, while keeping a view onto the initial text position, e.g. to swiftly continue editing. I started text editing by double clicking on a word in the left window, within a file "sfk.cpp". I typed "// get the file size". Now I need to look up a function named "getFileSize", to read about it's parameters. 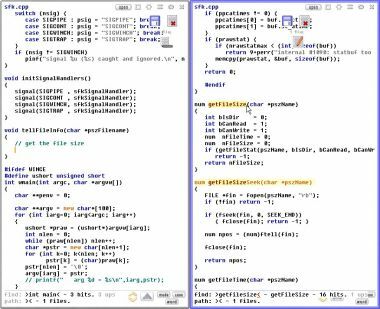 therefore I change into the right side window, which also contains the file "sfk.cpp". I type "getfilesize", finding the function immediately. now that I see how it is declared, I continue editing in the left side window. 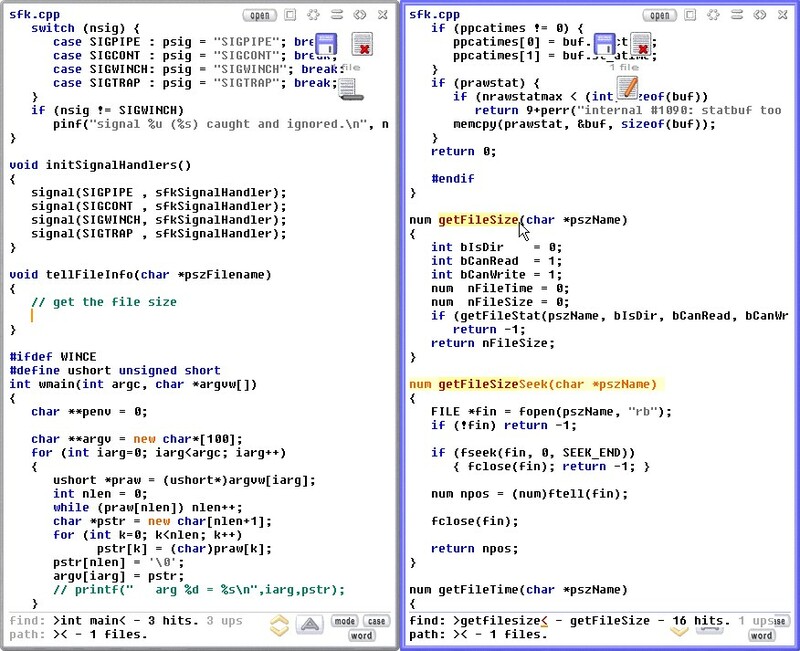 the same text in two views, while editing in the left view. With Depeche View, it is also possible to copy or move text blocks between multiple views instantly .